Amazon unveiled a Prime exclusive offer on groceries ahead of Prime Day. Prime members shopping for Rs 1,000 on Amazon Pantry during Prime Day will get additional savings of Rs 2,400 over the next one year. The incremental saving is on top of all the other deals/offers which will be live on Amazon Pantry in future. On Prime Day, members can also purchase 500+ items at discounts of 30-90 per cent. Amazon Pantry, launched in 2016, is an e-commerce platform for everyday grocery products with next-day delivery and scheduled delivery in select cities. 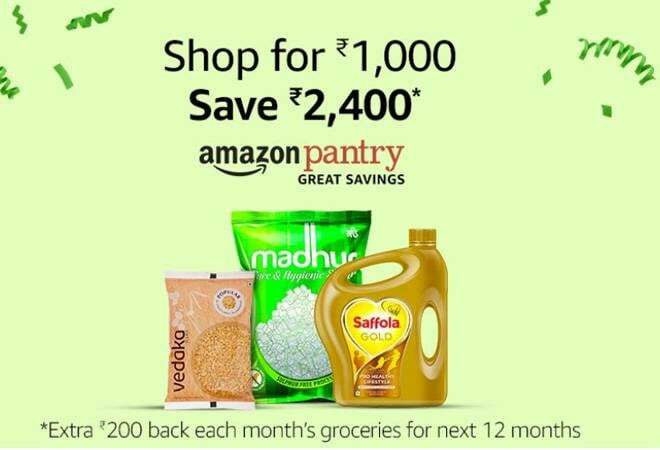 Prime members will get additional cashback of Rs 200 each month starting August 2018 till July 2019, when they shop for Rs 1,000 on Amazon Pantry. Prime members can avail this cashback on any day of the month in addition to any other deal/cashback a Prime member will be eligible for. Prime Day is an exclusive 36-hour celebration where Prime members will have access to 200 exclusive launches, blockbuster deals and entertainment premiers. Prime Day celebrations will start early on Prime Video, Amazon Prime Music, and partner sites.Amazon will also be providing Prime Now services to all its members. Prime Now is an exclusive service for prime members that gets select items delivered within 2 hours of ordering them. The service is available in four primary Indian cities including New Delhi, Mumbai, Bengaluru, and Hyderabad. Is WhatsApp's initiative to curb fake news enough?